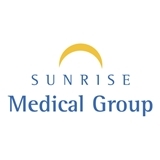 Sunrise Medical Group (Sunrise) - Book Appointment Online! "Our integrated Sunrise practices proudly serve the residents of South Florida, offering neurological, diagnostic and therapeutic care. Our divisions include Sunrise Medical Group Neurology, Palm Beach Neuroscience Institute, Sunrise Pulmonary Group, Sunrise MRI, and Sunrise Sleep Diagnostics. Collectively, our practices offer the outpatient services of more than 40 physicians at 12 locations and inpatient care at many hospitals throughout Dade, Broward, and Palm Beach counties. We provide care to patients with general neurological and pulmonary disorders as well as in the subspecialties of movement disorders, neuromuscular diseases, Multiple Sclerosis, Epilepsy, nervous system infections, behavioral neurology, Parkinson’s Disease, Alzheimer's Disease and memory loss, neuropsychology, sleep medicine, obstructive sleep apnea syndrome, and stroke. Dr. Singer was great! He listened and really took the time to hear me out and I wasn't just written off like with past specialists. I would highly recommend! She was very nice and very helpful.